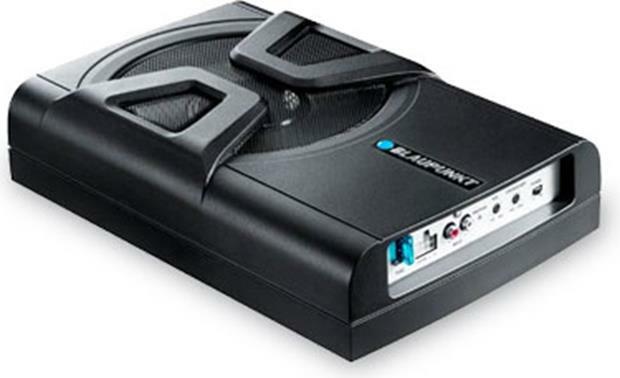 Blaupunkt's compact THb 200A amplified subwoofer mounts just about anywhere, so you can add great-sounding bass to your vehicle without giving up precious trunk space. 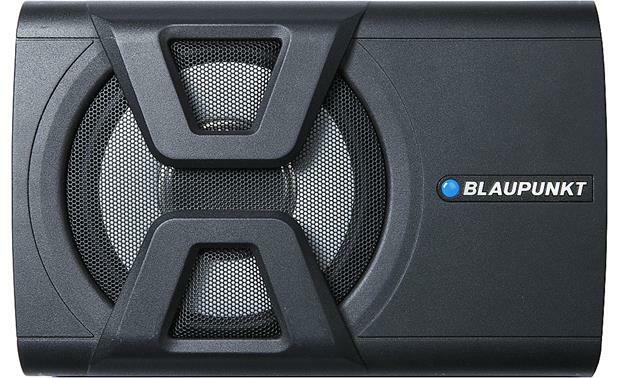 The slim, die-cast aluminum cabinet contains a 70-watt RMS amplifier and an 8" subwoofer for clean, low-frequency reproduction that enhances any style of music. You don't have to worry about turning the sub on and off  just feed it some music and it'll respond, and it shuts off one minute after the tunes stop. Preamp- and speaker-level inputs provide easy connection to nearly any stereo system, and this handy little thumper comes with all the mounting accessories you'll need for installation. Note: A fuse should be wired in-line at the battery for safe installation. You'll also need an RCA cable if you're planning to use the sub's preamp inputs. Auto Turn-On: When either the speaker level or RCA inputs are used, the sub automatically turns on when it senses an input signal. After no signal is present for approximately 60 seconds, it automatically turns off. 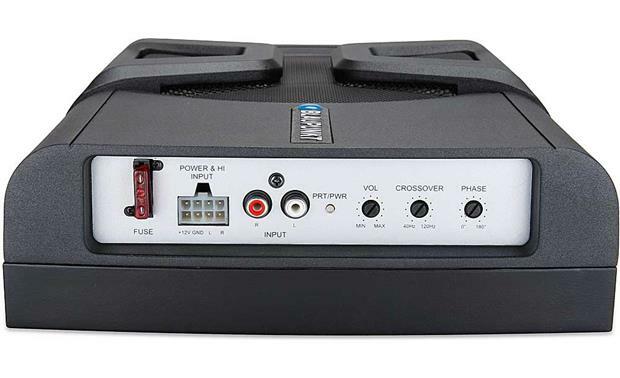 Low-Pass Crossover: The low-pass crossover frequency is continuously variable from 40Hz to 120Hz for a seamless transition between the output of this unit and that of the other speakers in the vehicle. Phase Switch: Allows you to adjust the sub phase between 0 and 180 degrees.